Egg Recall Sparked by Salmonella Threat: Are You at Risk? (CBS) A massive egg recall has consumers scrambling to check their pantries for eggs that might be contaminated with salmonella. 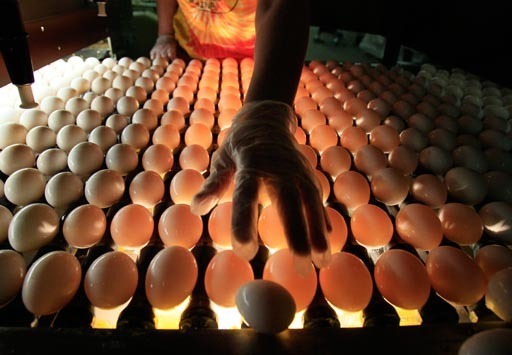 The recall involves 228 million eggs produced in Galt, Iowa by Wright County Egg, and distributed to wholesalers and food service companies nationwide. The recall affects eggs sold under the following brands: Lucerne, Albertson, Mountain Dairy, Ralph's, Boomsma's, Sunshine, Hillandale, Trafficanda, Farm Fresh, Shoreland, Lund, Dutch Farms, and Kemps. If you have suspect eggs, check the dates and codes stamped on the end of the carton. The plant numbers affected are P-1026, P-1413, and P-1946. The dates (recorded in the "Julian format") range from 136 to 225, according to a statement by the Egg Safety Center. For example, eggs in a carton marked with the number P-1026 137 should not be eaten. Consumers who have suspicious eggs can get a refund if they return them in their original carton to the store where they were bought. "This recall is of shell eggs only. Other egg products produced by Wright County Eggs are not affected," the company said in a statement. Minnesota health officials say seven salmonella cases in two restaurant outbreaks have been linked to Wright County Egg in May and July.